A co-worker asked me to make a "Welcome" card that she could place in her cabin with a note inside to welcome visitors who rent the cabin. She asked that I use green and yellow to coordinate with the bedroom she wants to place it in. Knowing how many variants of green and yellow are out there, I showed her the Stampin' Up colors and asked her to choose which shade of green and yellow she wanted. She chose Summer Sun and Garden Green. Like a writer with writer's block, I think all of us at one time or another suffer from stamper's block. That's what happened to me a couple nights ago when I sat down at my stamping table to work on some designs for my co-worker. 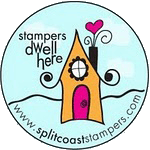 I played for a while and just wasn't happy with what I was coming up with, so I went to one of my favorite websites, Splitcoaststampers, for inspiration. There I found so many pretty daisy cards to inspire me, and I have two talented stampers that I'd like to thank because I cased their cards! 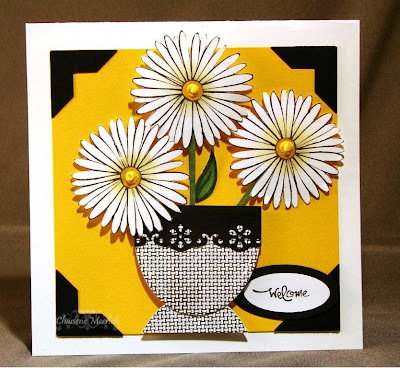 This first daisy card I made was inspired by this card made by Mary Fish (aka Petal Pusher on Splitcoaststampers). I loved her creativity to use an oval punch to create the flower vase. In my case, I used an oval Nestability die. 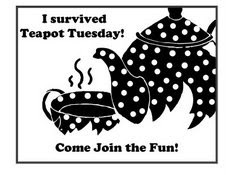 The vase design is the Aida Cloth background stamp because I wanted a black and white vase with this pattern. I also love to use designer papers, and I think it was Mary's use of the cool Rockabilly dp that really caught my eye. I used my Summer Sun marker to color the center of the daisies, added some 3-D Puffy Glue, which was heat set and colored with a Summer Sun marker, and then sponged Barely Banana from the center outward for a little highlighting. I fussy cut each daisy and popped them up with dimensionals. 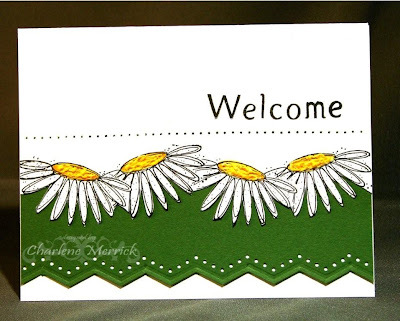 The welcome sentiment is from Stampin Up's Short and Sweet set. I used a black marker to highlight the welcome only as this particular stamp reads Welcome Baby. For my second card, I used what will always be one of my favorite Stampin' Up flower stamps, In Full Bloom, because I like how playful these daisies look when you cut them out and arrange them in such a fashion. For this layout, I was inspired by Patty (aka LaLatty) with her clean and simple, yet oh-so-very-pretty, card. Again, I colored the centers with my Summer Sun marker and I added some 3-D Puffy Glue, which was heat set and colored, for some texture. "Welcome" was made with my A-Z and 1,2,3stamp set by There She goes. Although Mary and Patty probably do not even know me, I'd like to thank them for saving me from a bad case of stamper's block! Oh, by the way, my co-worker said she loves both cards and had a hard time choosing between the two, but she did settle on card #2 for her cabin! These are both so wonderful! I am sure she will love them both, as will her guests! Oh Charlene these are fabulous -- your mojo is back big time. These couldn't be better! Love both of these cards. Summer Sun and Green Galore never looked so good! I would love for you to play the Twisted Thursday sketch! 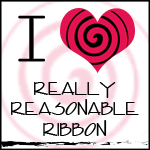 You have until Sunday, June 14, midnight (PDT) to post your card to Karolyn' Blog. See my post for the link. Hope you win! And thanks for the comment on my card! 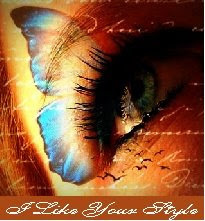 These are SO PRETTY, Charlene! Love the use of the aida BG on the vase and the flowers look so real. Love the fresh and fun look of both cards! Gorgeous gorgeous gorgeous! I love them both...daisies always look so fresh and happy! I knew if I came to see you tonight I could get a little inspiration. 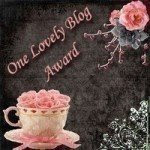 Well, I must say, I am now overloaded with it...your daisy cards are GORGEOUS, Charlene!!!! You musta been dipping in the M's cause your mojo was working overtime!!! Charlene these both are wonderful!!! She will love them both!!! I too think In Full Bloom will always be one of my favorites! Love the daisies! Love the puffy glue... really adds so much! FANTASTIC!! love your vase design with those fabo daisies Charlene!! And the second is just charming with that border punch.. You'll hafta let us know which card she prefers...or both...I wouldn't be able to choose!! Wow Charlene!! These are both gorgeous!! Love your layout with the In Full Bloom flower on the 2nd one and your vase and daisies on the first is gorgeous!! I am sure she will love them both. Oh to choose would be so hard...Fantastic job! I don't know which I would have chosen, Charlene!! They are both beautiful and bright and happy, although I love the bold black and white vase of the first...what a great idea that Mary had with the vase, and now that you've passed it along, I may try that someday too! Just love them both!! And it inspires me to think of something for a welcome sign for Steamboat...what a great idea! Hope you're having a good weekend, friend!! Thank goodness for Splitcoaststampers!! yay! These cards are both bee-yooo-tee-ful! !